I’m writing this morning for The Sunday Whirl. The words this week are indeed a challenge. Words I would not have used and a poem I would not have written, otherwise. And that is exactly why I enjoy The Whirl…it challenges my creativity! I surprised myself by how long it has been since I posted a poem. I’ve written poems, participated in creative challenges, and read poetry around town. But I felt most of the poems I’d written through the winter and spring were too personal for the internet, at least for now. 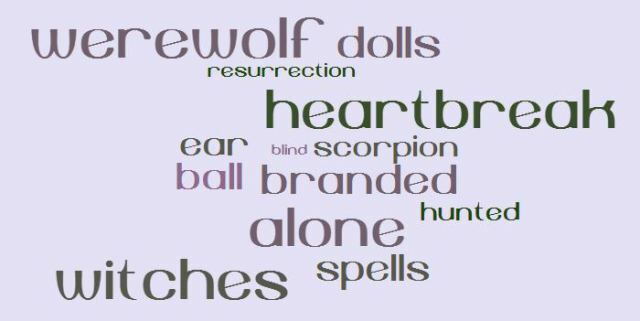 This entry was posted in Poetry and tagged branding, choices, courage, creativity, lifestyle, poetry, spells, success, The Sunday Whirl, werewolves, wholeness, witches. Bookmark the permalink. This is a great call to action. Glad to have you whirling, Sabra! Thank you, Brenda. It is a joy! I like this take on the words, nicely done. and I like what you wrote after the poem, as well. that’s the same reason I do the Whirl, and the truth behind my writing this week! Thanks for your visit and comment. Yes, it is great to go where the words carry us. I’m off to check out your poem. wholly human – that is def. the best branding i can think of… with all it’s power and with all its weaknesses.. I agree, Claudia, we must embrace the weaknesses, too. Thanks for your visit! This is the best branding possible.. I think wholly human is the best thing to be. I do too, Bjorn. Thanks for your visit. These words were a jolt, Sarah, and they were great for taking me out of my regular writing box. Thank you for visiting and leaving me a comment! I too, love, wholly human, Sabra. You did an excellent job with some very difficult words. Glad to be with you writing at the whirl. Great piece 🙂 You did a good job stepping up to teh challenge. Thank you, Cathy! Did you give Brenda this list of words? Thanks for your visit and comment! The last 2 lines – a winning final flourish pulling all the images together.. Thank you, Gemma! And thanks for your visit. Yesw, we strive to be wholly human. Yes – that is the best brand to have..and we carry the branding in many forms..scars, wrinkles..headaches and poems! Yes, Jae Rose, I’m glad you included poems in your list of branding. Scars, too. They show we lived a full life. Love this, the message that we’ve all felt the pain of being labelled, and that being wholly human means embracing our true selves and others fully, as unique and important individuals. Wonderful poetry. I’m delighted to meet you.Thanks for visiting my blog and following. Thank you so much for your kind comment. I look forward to knowing your poetry. Thanks for following mine.